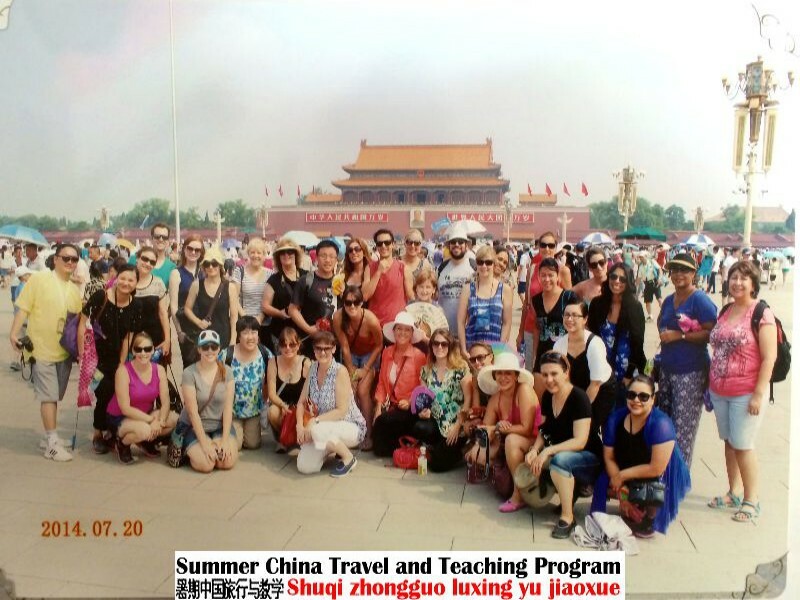 Summer China Travel and Teaching Program (SCT&TP / SCTNTP) promotes US-China cultural exchange and EFL education in China. It offers North American teachers a unique cultural experience through FREE tours in China as well as Chinese language and culture workshops on campus in exchange for providing 12 days of English instruction for Chinese students. This program also offers teachers a great opportunity for professional growth in teaching English as a foreign/second language. SCTNTP is sponsored by local Chinese schools in China. The schools that sponsor this program are private boarding schools that serve Grade 1 – 12 students. Equipped with modern multifunctional facilities and high technology, the schools have been recognized in the city and province for their excellent instructional services and outstanding student academic achievements. Teachers who participate in the SCTNTP will receive reimbursement for their international roundtrip airfare after their arrival in China. During the duration of the program, teachers are provided with free hotel housing and meals as well as free tours to different cities in China. In addition, Chinese language and culture classes are offered on campus during lunch break or after school. At the end of the program, a certificate of professional development and verification of 12 – day instruction will be issued to each teacher who completes the program. The SCTNTP management team is made up of educators with 19 - 40+ years of professional teaching experience and educational leadership in K – 12 public schools in China and America. We work directly and closely with local Chinese schools in China and provide on-site management and supervision during the duration of the summer program. Since 2004, SCTNTP has attracted numerous groups of American teachers, who brought home lifetime experiences and memories to share with their families, friends, and colleagues. Every year we have returning alumni teachers who join us in the program for the second or third time.